KBS 2TV drama "Radio Romance" has been pre-empted due to the 2018 Pyeongchang Winter Olympics. According to sources, "Radio Romance" will be pre-empted on the 18th due to the Bobsled and Ski Jumping events. Viewers can watch the seventh and eighth episodes on the 20th. 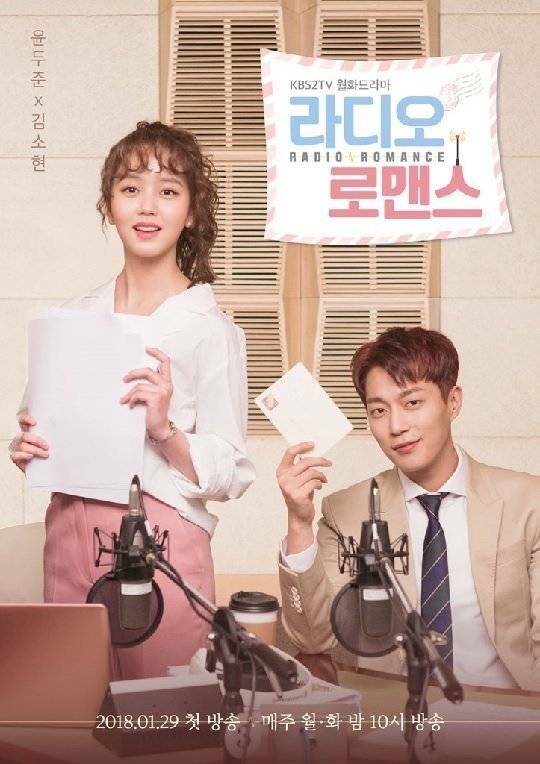 "Radio Romance" is a drama about a top star who can only work with a script and a scriptwriter who can do nothing but write a good script. The two meet and change each others lives. It stars Yoon Doo-joon, Kim So-hyun, and Yoon Park. ""Radio Romance" Postponed Until the 20th "
[Video + Photos] Teaser and New Stills Added for Woo Do-hwan's Upcoming Korean Drama "The Great Seducer"